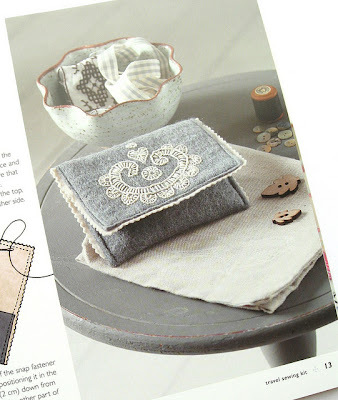 I really need to learn not to announce a series of blog posts before I have actually written the blog posts in question! 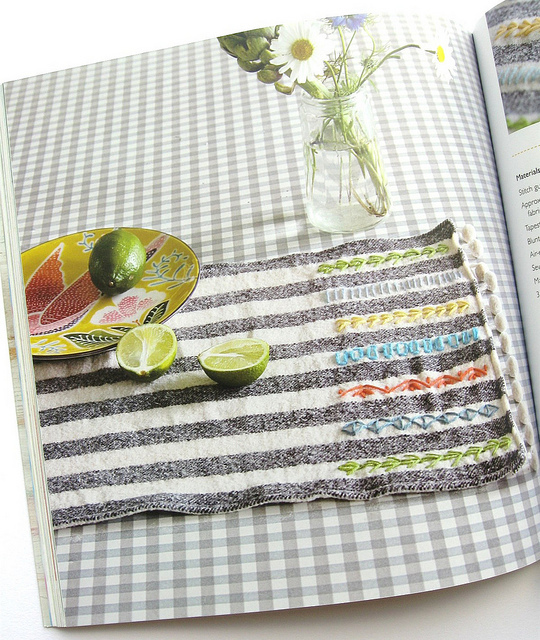 It's been a few weeks since I said I'd be posting some sewing-themed craft book reviews "in the next week" and here I am finally getting around to posting the second one. Ah well - better late than never, right? 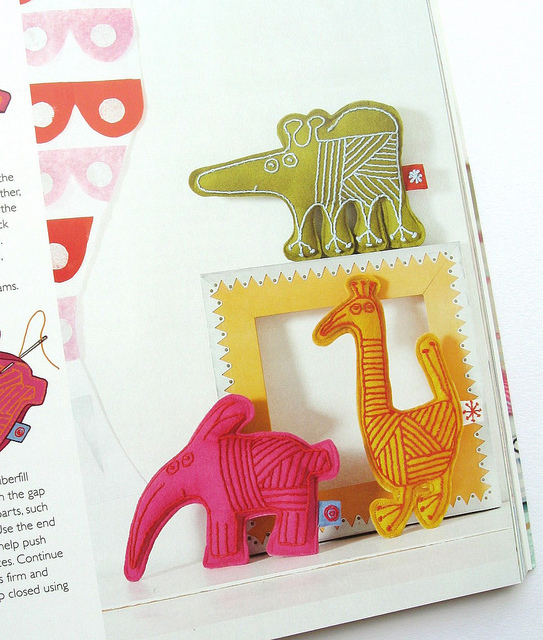 First up: Folk Art Needlecraft by Clare Youngs. 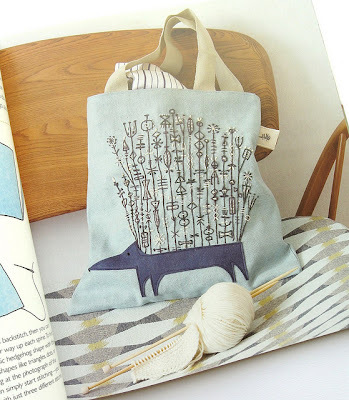 Clare's book Scandinavian Needlecraft is a huge favourite of mine so I was really excited to see this new book. 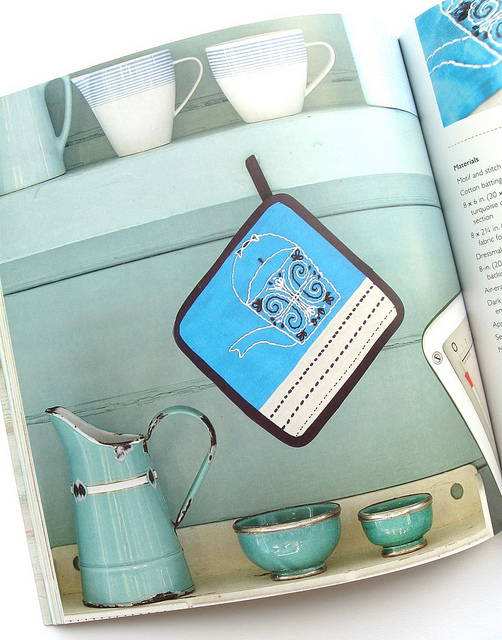 The book includes 35 projects, arranged by theme (although not divided into chapters with a chapter heading, etc, the projects just follow on one from another which briefly confused me), each with clear step-by-step illustrations. It's a shame the full pattern for this hedgehog isn't included in the book - instead there are just straight lines for the spines and you're encouraged to experiment with different shapes and stitches, but I think it looks lovely as it is! 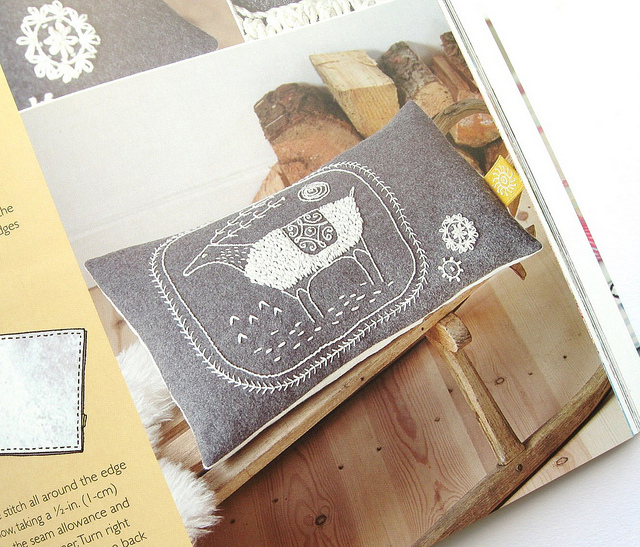 Each project includes a bit of info about the motif being used (what part of the world it's from or its meaning in folk art) which I think would be a really useful starting point if you found a particular style you really loved in this book and wanted to find out more about it. There's also a short guide at the back of the book that covers all the techniques and hand stitches you'll need to complete the projects. You need a sewing machine to make most of the items in the book but if - like me - you prefer hand stitching, you could just use the projects as inspiration and embroider the motifs onto ready made items or in embroidery hoops, etc. Some of the templates and motifs are included at full size, but many need enlarging. 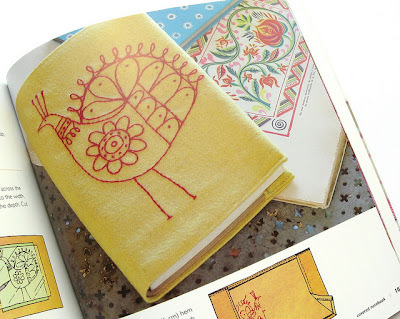 I have to admit that I am not quite as in love with some of the folk art motifs used in this book as I was with the ones in the earlier book, but this is still a lovely book with some really gorgeous projects. There are some Scandinavian folk motifs included (along with the designs from Eastern Europe, Spain, India, Peru, Japan, etc) and I think the Scandi style (while wonderful) is so popular that you see it popping up all over the place... it's nice to see something a bit different! 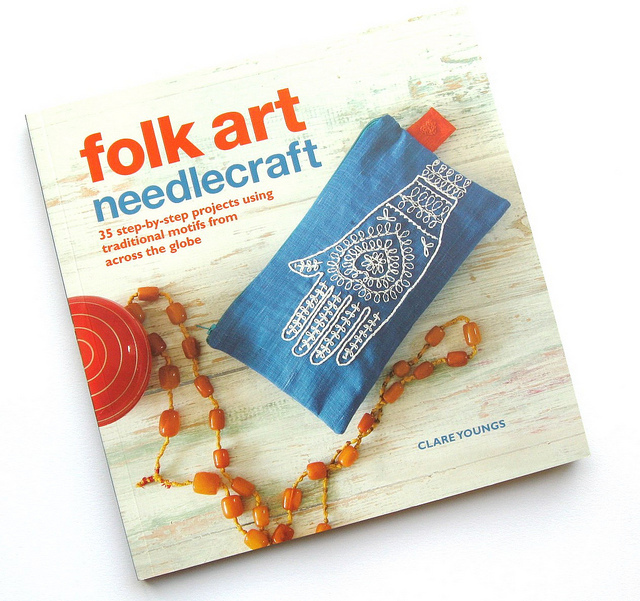 Folk Art Needlecraft is published by CICO Books. 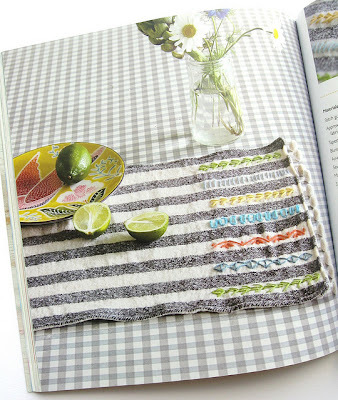 RRP £12.99. 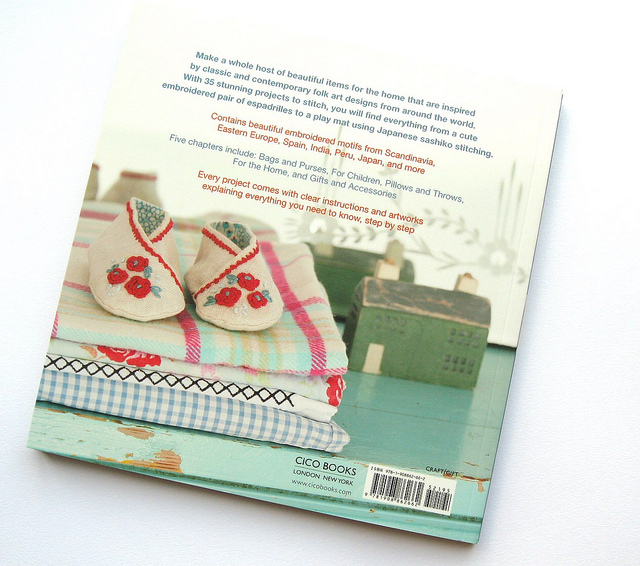 It's available from Amazon UK, Amazon USA, The Book Depository and many other bookshops. Yawn, why bother, it looks like something you'd get at ikea for $2. A lot of the designs in this book (and Scandinavia Needlecraft) would actually mix-and-match very nicely with IKEA's range of Scandi-style embroidered cushions, if you stitched the motifs with similar colours and used the fabric to make cushions, etc. Silly Little Sheep - How nice!